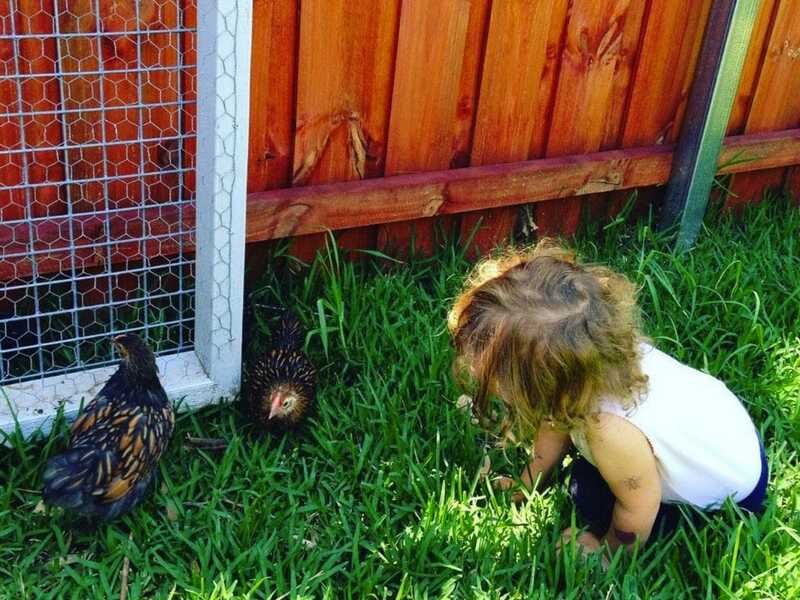 A backyard full of kids toys, chickens, veggies and bees is one kind of backyard that we love. Kids and bees, though. Can they happily co-habit? The answer is Yes! 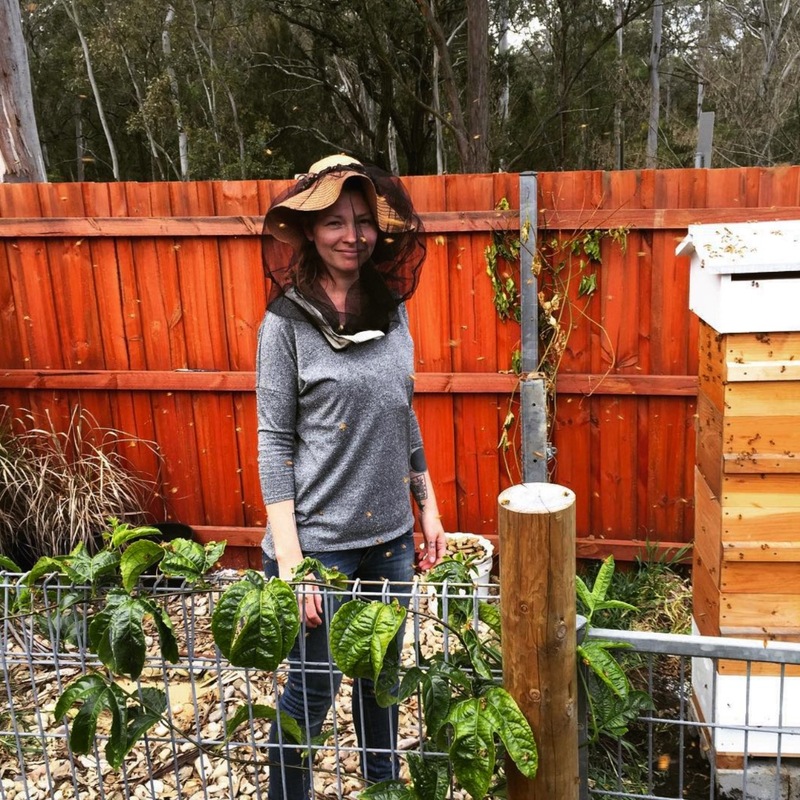 We caught up with Emily Gimellaro from Wilton recently about how she keeps bees in a warré hive in her backyard chicken run, alongside two small kids and a busy life. 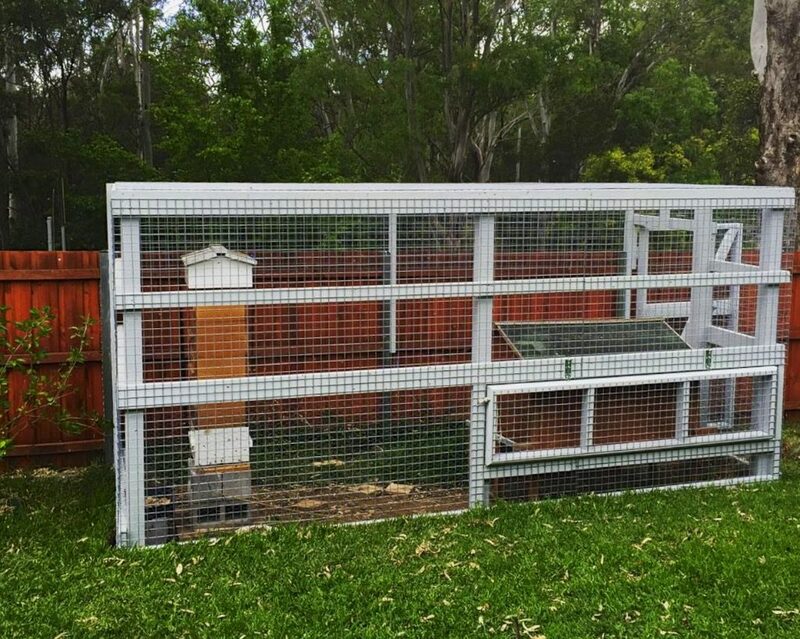 Housing your hive in a chicken run can be a great way to stack functions in a backyard system, especially one with kids around. 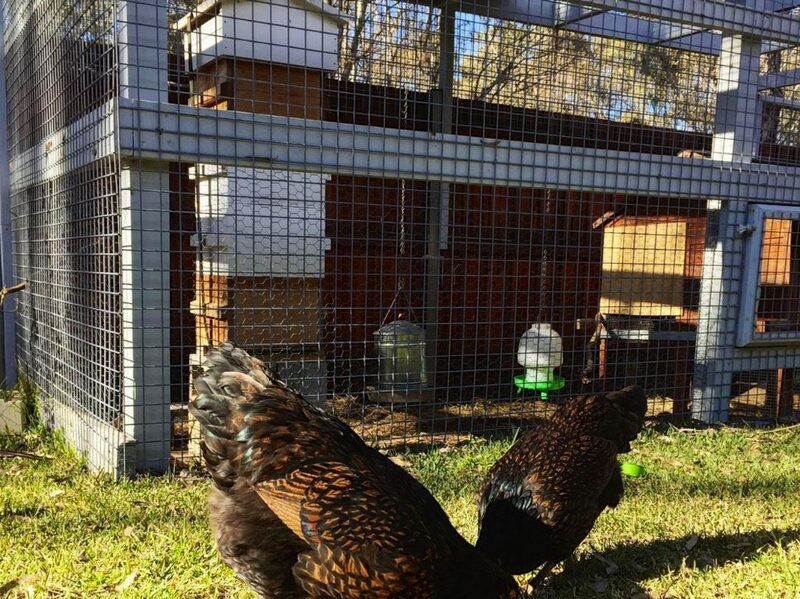 The chickens help control small hive beetle if it’s in the area – part of the beetle’s life cycle is in the hive, part in the ground – the chickens snap up this free protein when it appears quick smart! 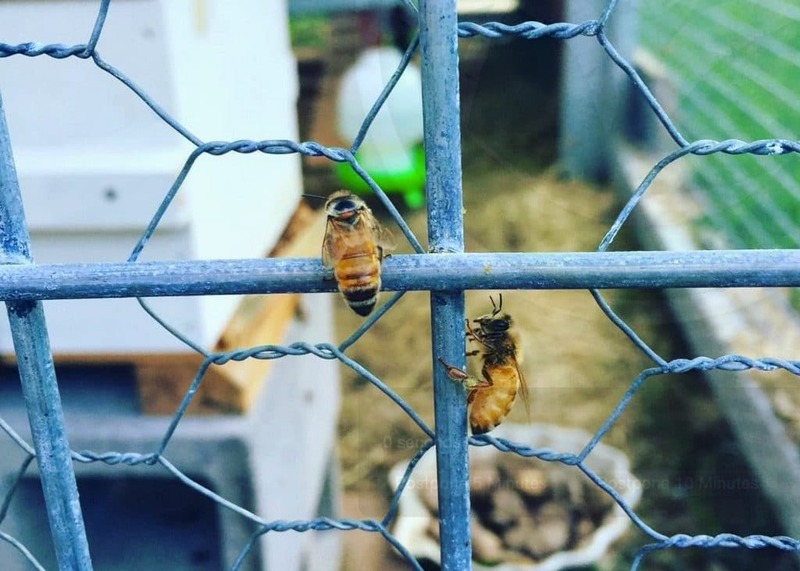 And by housing your hive behind a fence, you leave the bees flight path uninterrupted, while protecting the hive from stray soccer balls and all the other crazy things that happen in a backyard full of active kids. Number of warré hives: Currently 1, but this coming spring I have been asked to manage a few on another property. Backyard size: 1/4 acre, but the useable part of our backyard is probably about 8metres x 40metres, the rest is wrapped around our house and doesn’t get any sun. 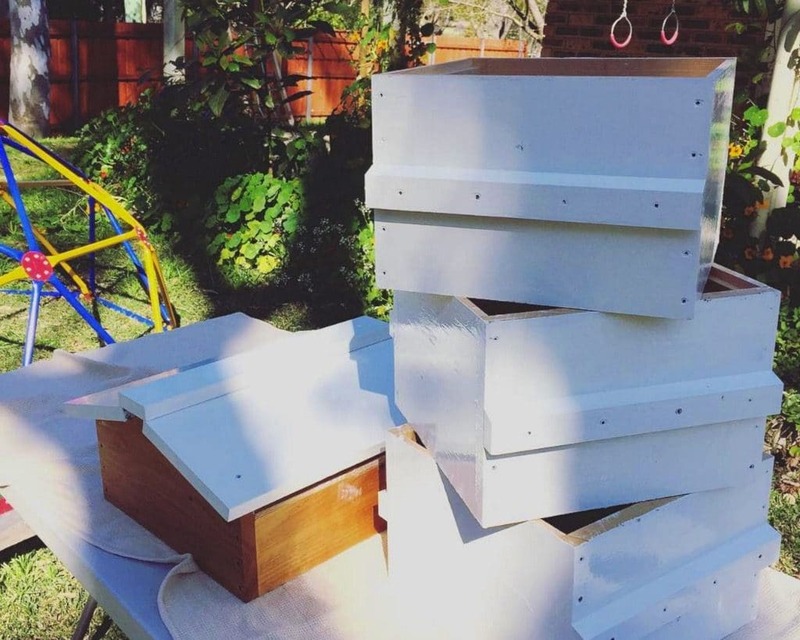 How long have you been keeping bees, and what led you to get a hive? 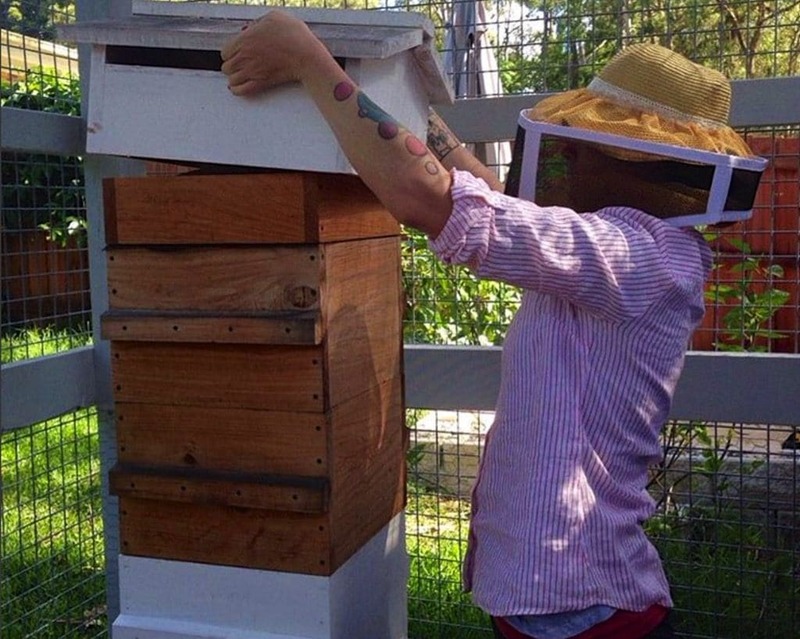 I began beekeeping for two reasons. 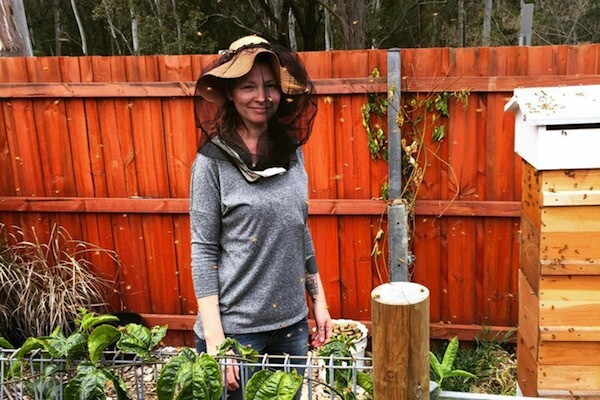 When I was 7 months pregnant with Olive I was reading up on permaculture on Milkwood.net to help design our backyard for our new house we were about to move into, and I stumbled upon Tim Malfroy’s natural beekeeping course. 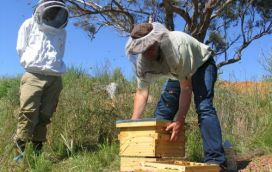 I had never even thought about beekeeping prior to that day but I was intrigued and figured that as a new stay at home mum I should probably make some new hobbies that I could do from home. Once I had finished Tim’s course I was hooked on bees. I put my name down for one of Tim’s Warre hives, and then finally when I was 42 weeks pregnant with Wes I called upon someone more experienced than I to help me inspect my new hive for the first time since having bees occupy it. I had been anxious to see inside the hive before he was born. All was well and Wes was born the next day. I was a beekeeper! At first I had our hive set up in the corner of our yard with a fence to keep small kids away from the entrance. But once winter came I realised that it was a damp and shady space, so with our plans for a chicken coop we combined the two in a much sunnier location. 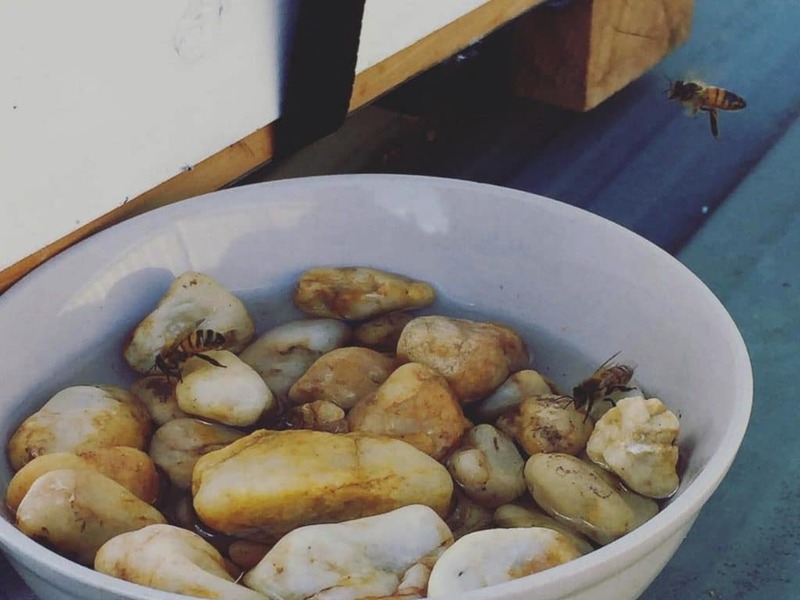 Having chickens and bees together works in both their favours as the chickens can gobble up any small hive beetle trying to get into the hive (which can devastate a weak hive very quickly), and the chickens clean up any dead bees around the hive which is some protein for the girls. 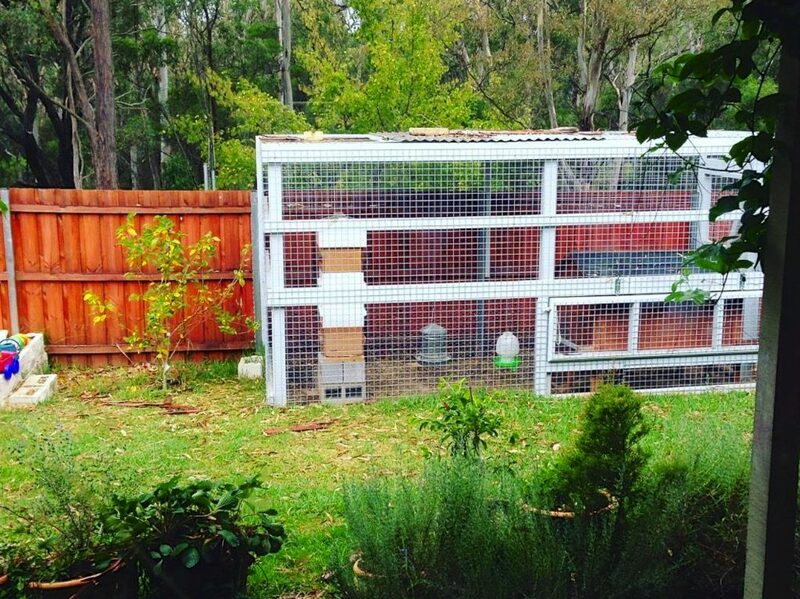 I haven’t seen the chickens going for any live bees but have propped the hive up on two breezeblocks just incase. There was a dramatic decrease in small hive beetle within the hive once we had the chickens around the hive. 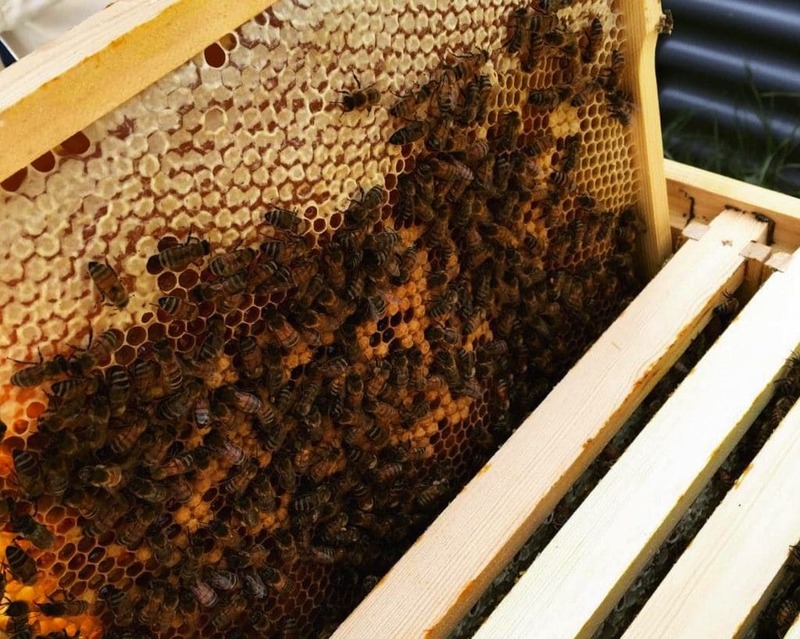 Why did you choose a Warré hive and approach? 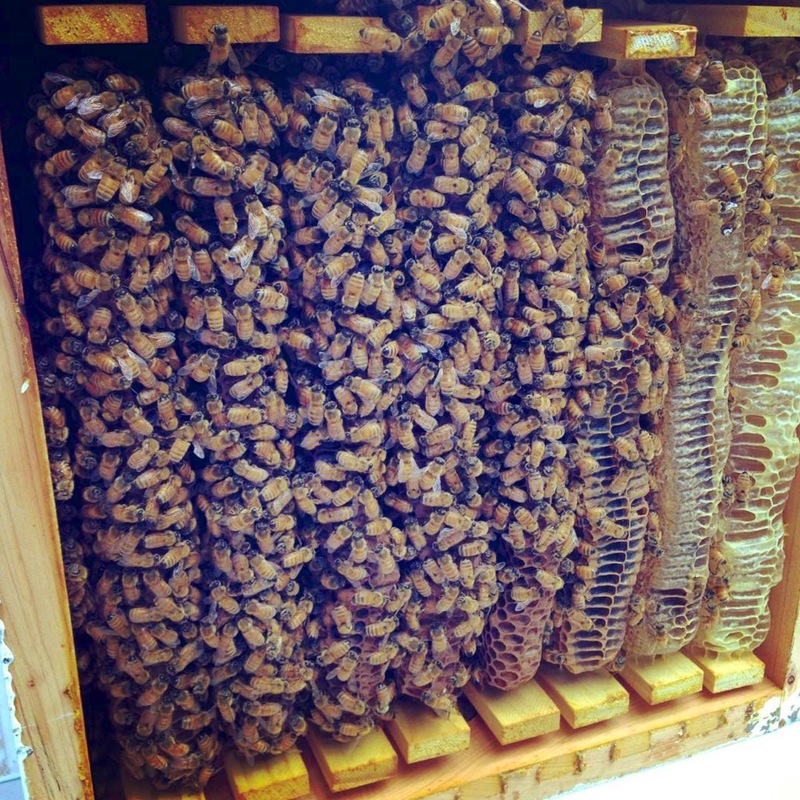 I chose to beekeep in a Warré hive because I feel that it is the closest way to natural for the bees. I love how gentle the bees are because they are busy building their own comb, busy doing everything they were designed to do. No plastic frames, no queen excluders, no feeding sugar syrup. It’s just bees in a box doing their thing. It is easier for me too because I only have to check on them, give them more space, and occasionally rob some honey. 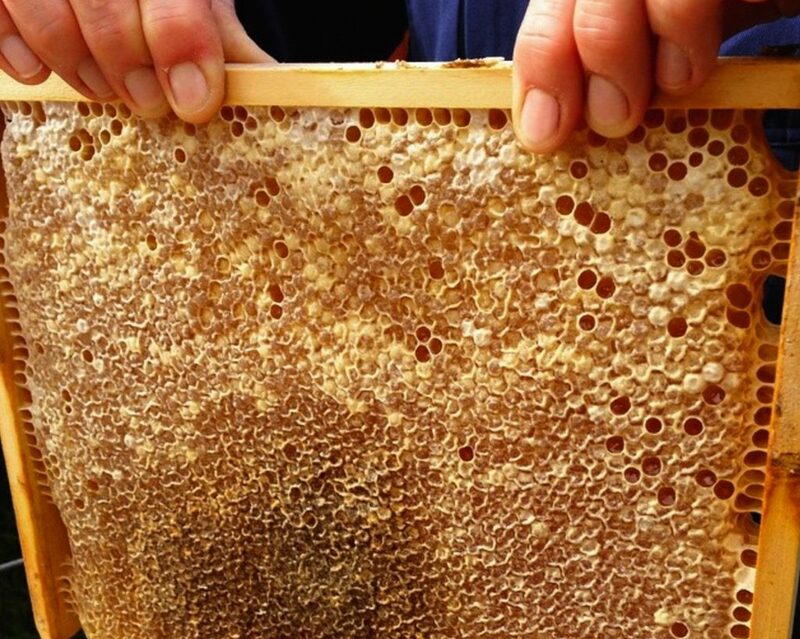 What’s the honey harvest been like this last year? It was great. Though the only year I had to compare with was my first year and I didn’t take any honey because I wanted to make sure they had enough for winter. 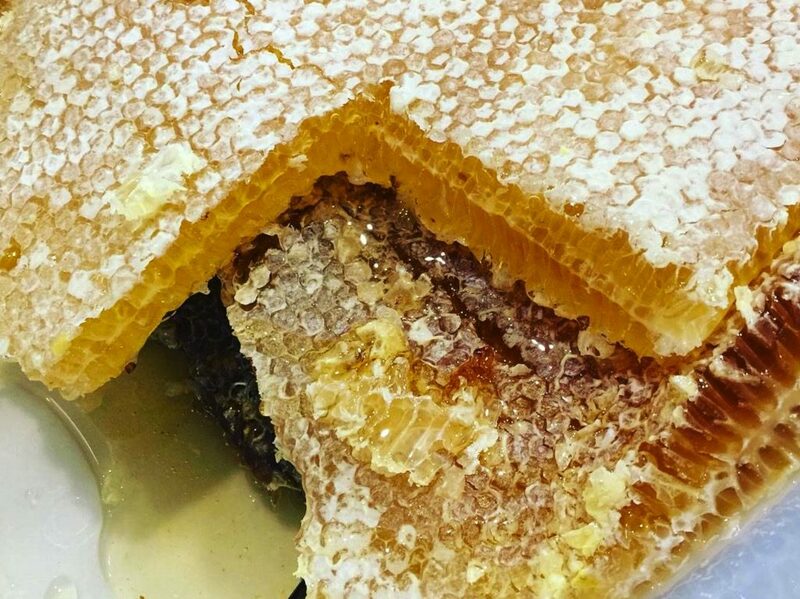 But this last season we robbed 3 boxes of honeycomb and still had two boxes full of honey for the bees for winter. 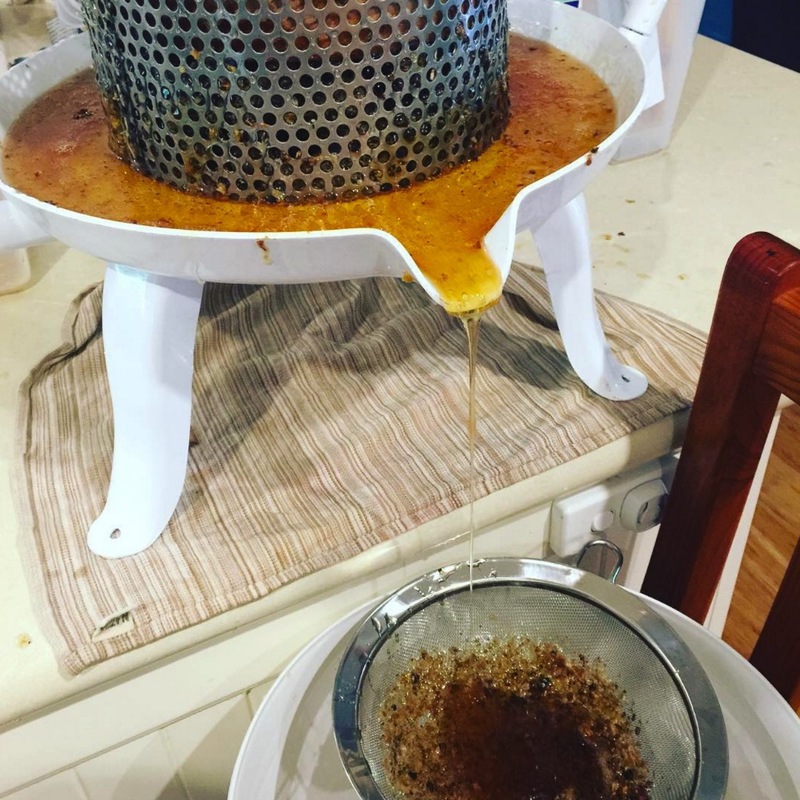 So probably close to 45 kilos of honey. 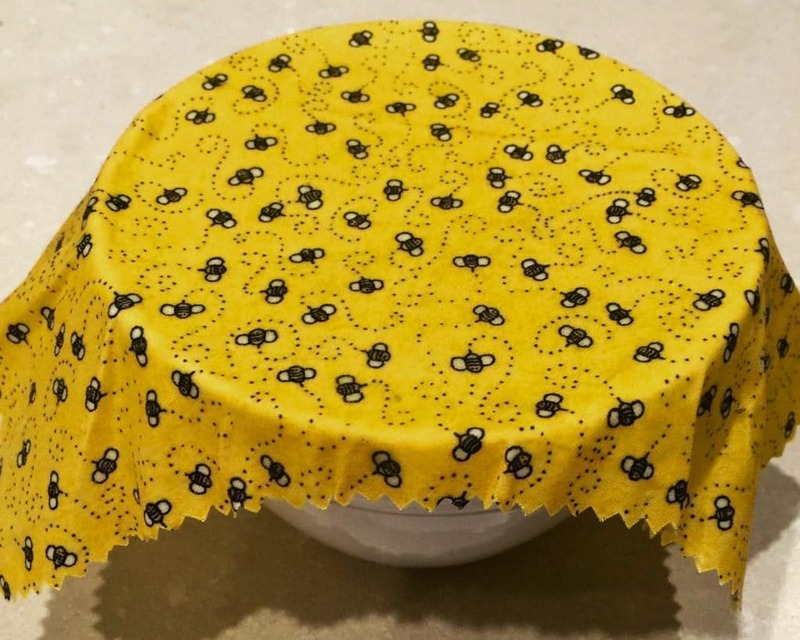 What do your little people think of the bees? Any qualms from their end? Olive and Wes love the bees. We have our morning tea in the sun in front of the bees watching their comings and goings. They also love collecting all the dead bees they find around the spider webs and window sills (most of our toy cars have had dead bee drivers at some point thanks to the thoughtfulness of some of our other little friends). We are careful to remind Wes not to pick up any live bees. 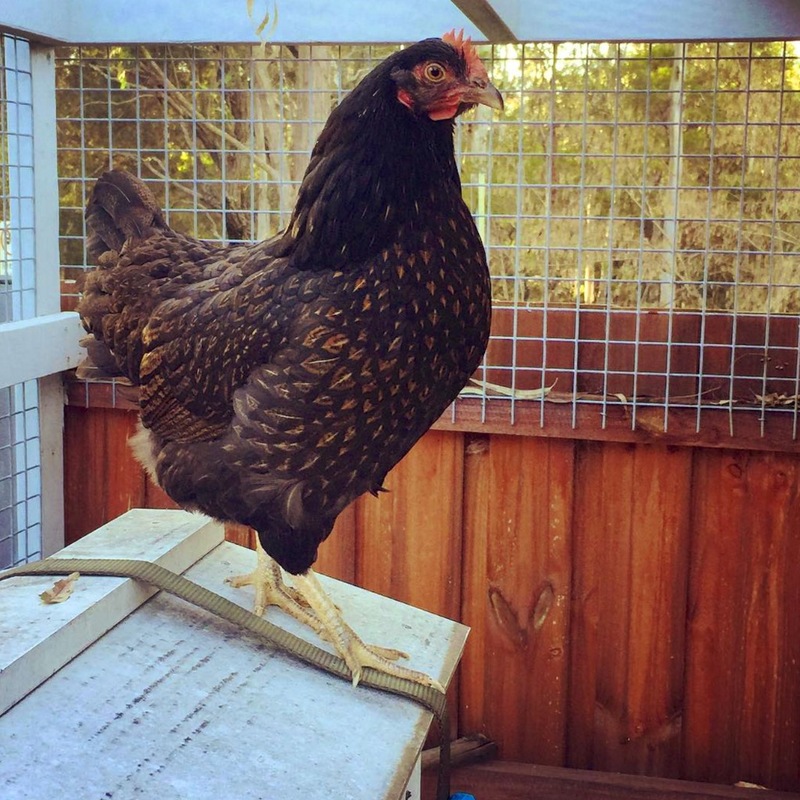 Olive likes to help scoop the wet bees out of the chickens water in the mornings and let them warm up and dry off on her hand in a sunny spot. Though she did learn the hard way not to try and pick up a bee again after it had walked off her hand and she is much more careful now. I think she will be ready for her own little beekeeping suit by Christmas. 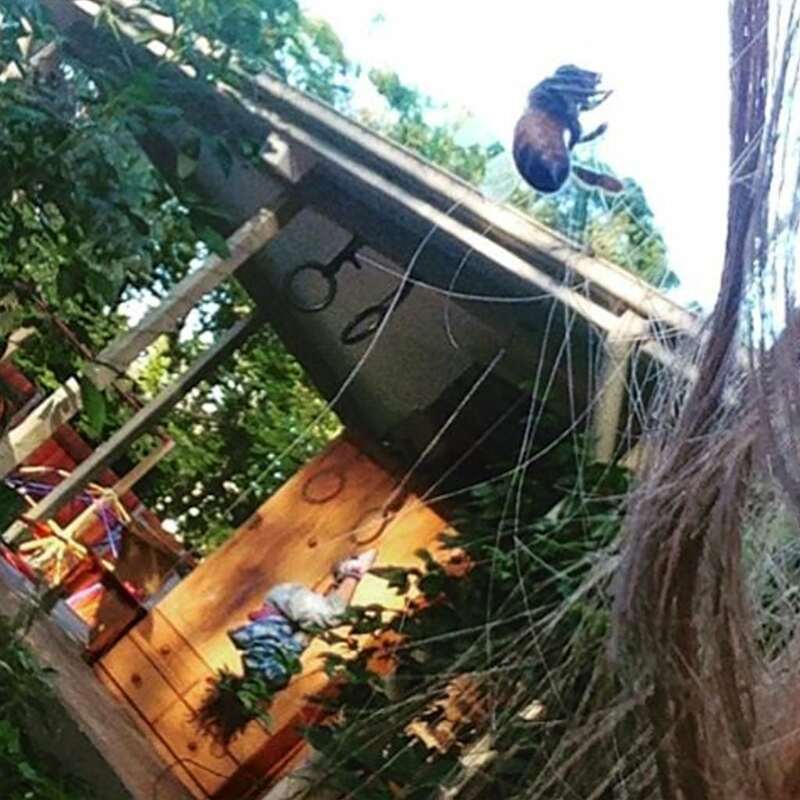 How do you manage kids and bees in the same space? We try and teach the kids as much about bees as possible, so they can learn how to be safe around the bees rather than fearing them. 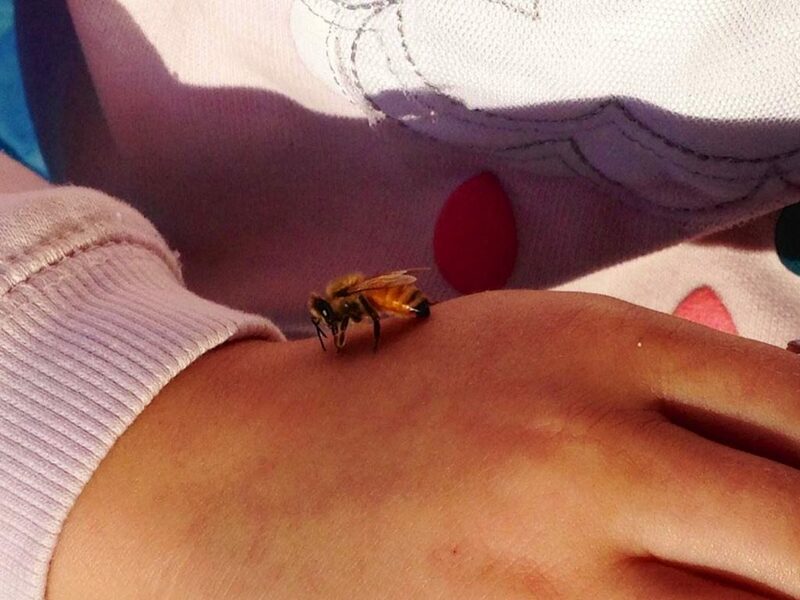 We teach them to sit and watch how the adults interact with the bees and when to leave them alone. 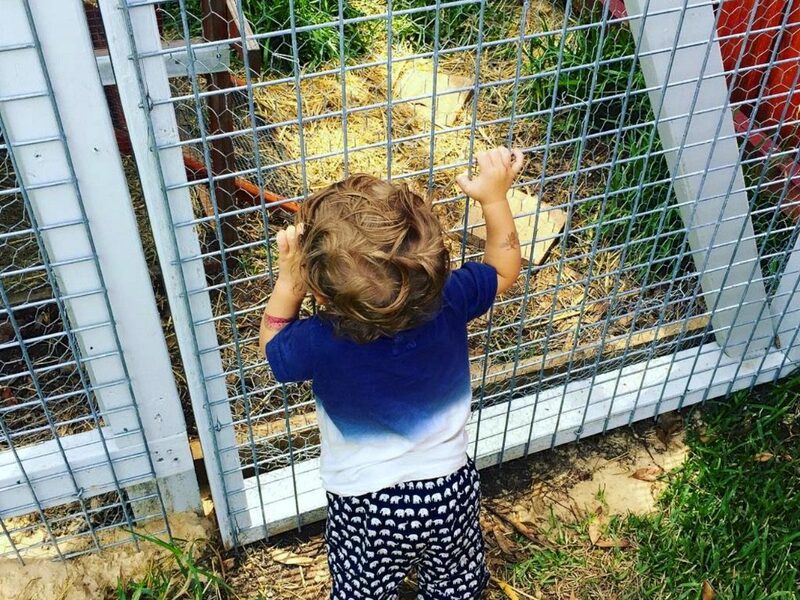 Having the hive in the chicken coop means that the kids will always be at least a metre from the entrance which is where any dangers are more likely. 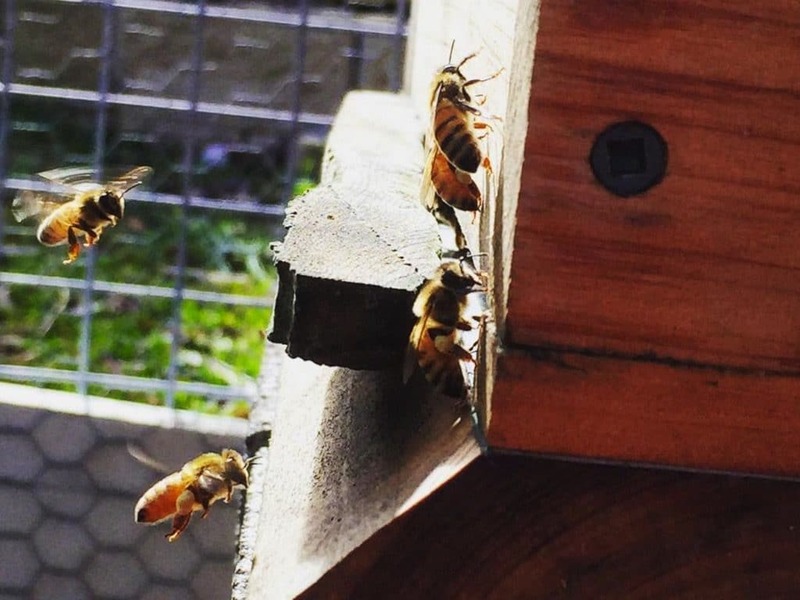 What’s the main strategies you would advise folks with little kids to bear in mind if wanting to keep bees? The best strategies would be Information to kids that are old enough to understand. Nothing beats knowledge to be safe. 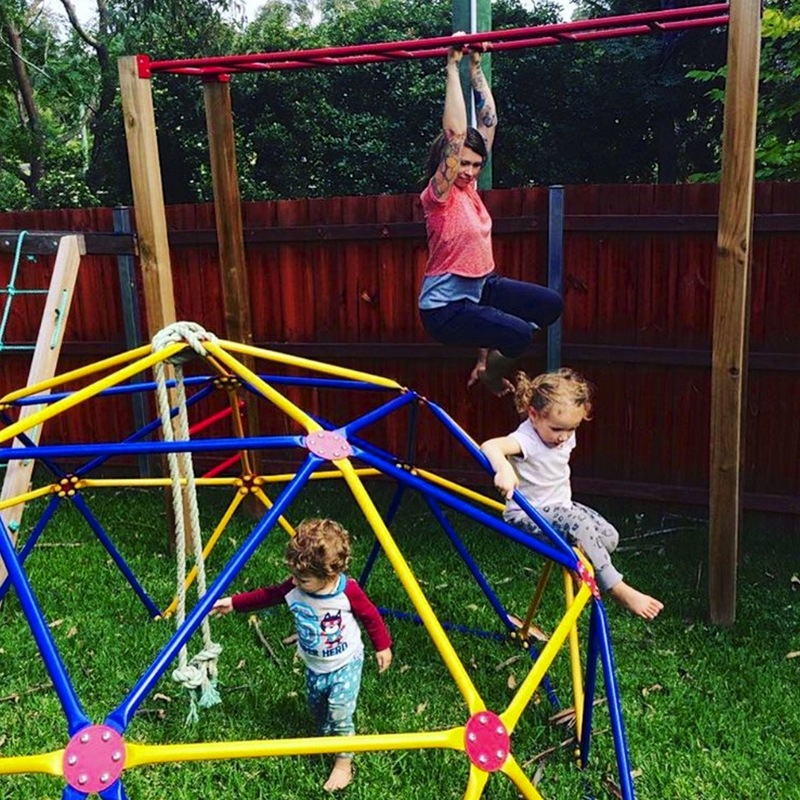 A fence around the hive to keep small children out and balls or objects being thrown/kicked into the hive, preferably a high fence if your kids are climbers like mine are. Shoes on in the cooler mornings and afternoons when bees are more likely to be on the grass because they need to warm up before setting off again. Have some sting remedies available like raw honey, ice, vinegar, apis homeopathics, and know the best way to scrape out a sting quickly. Personally I think that someone else’s saliva is the best way to neutralise a sting but this may gross some out. And keep an eye on your kids water play in summer. Make sure you have water high and out of the way so the bees can have some where to drink. For some reason the bees preferred to try and drink straight from olives drenched clothes so this summer we have better ‘bee watering holes’ like hanging plant baskets and we will be making some bird bath type rock pools that can attach to the fence. What’s your favourite things to do with your hive’s harvest? 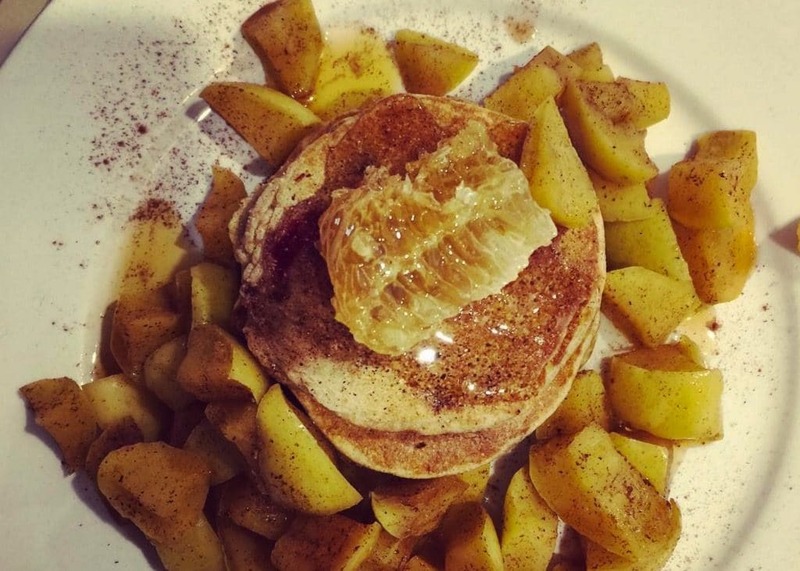 Our entire family loves eating fresh honeycomb on our blueberry sourdough pancakes, but for winter we have made honey fermented garlic which smashes anything trying to take you down. It’s great and so easy to make. 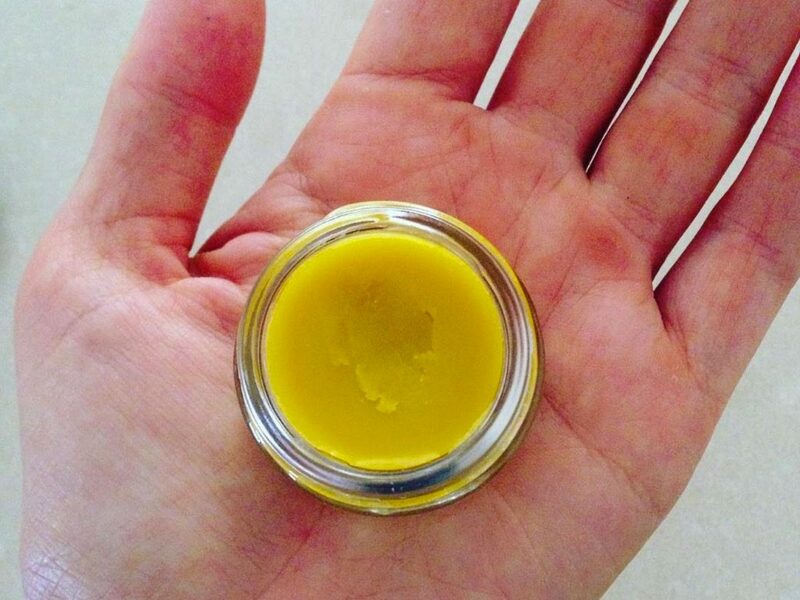 With the beeswax I have been making my own lip balm, moisturiser, natural sunscreen, bug balm, wound balm. 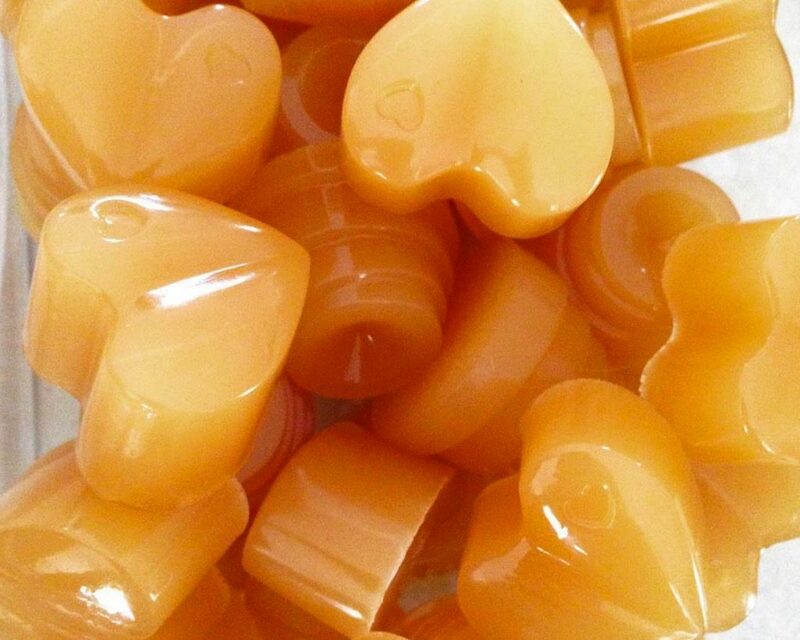 Currently I am experimenting with making wax wraps so we can ditch cling wrap once and for all. 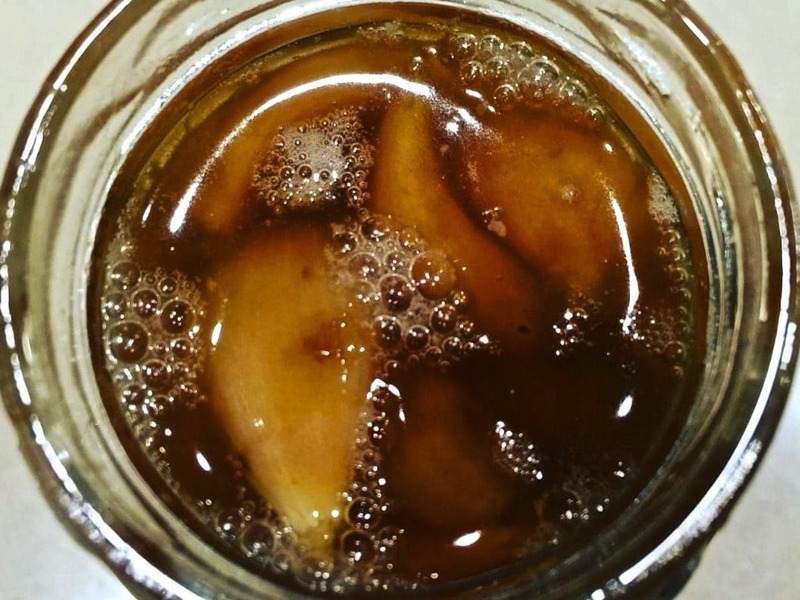 And with the slum gum (the muck left over when rendering the beeswax) I am adding to dried out citrus skin to make our own fire starters. I love that nothing gets wasted from the hive. 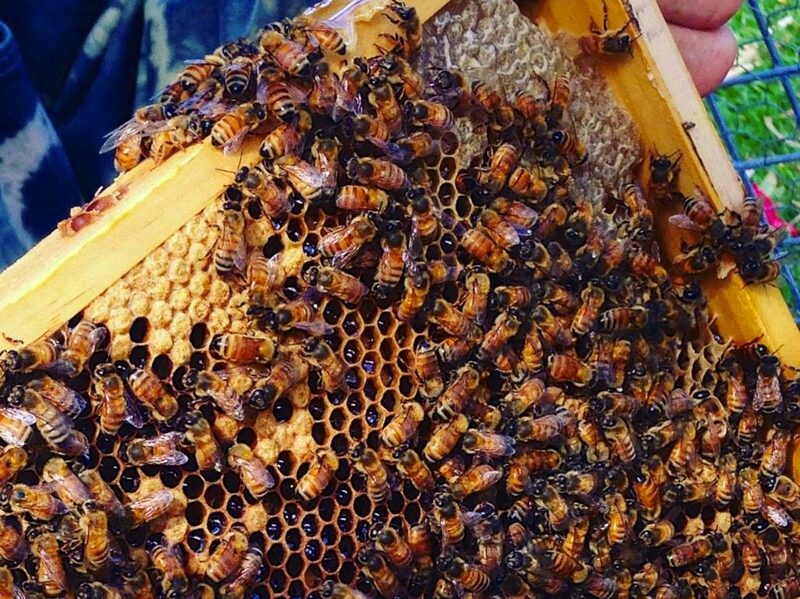 Best natural beekeeping resources which have helped you along the way? 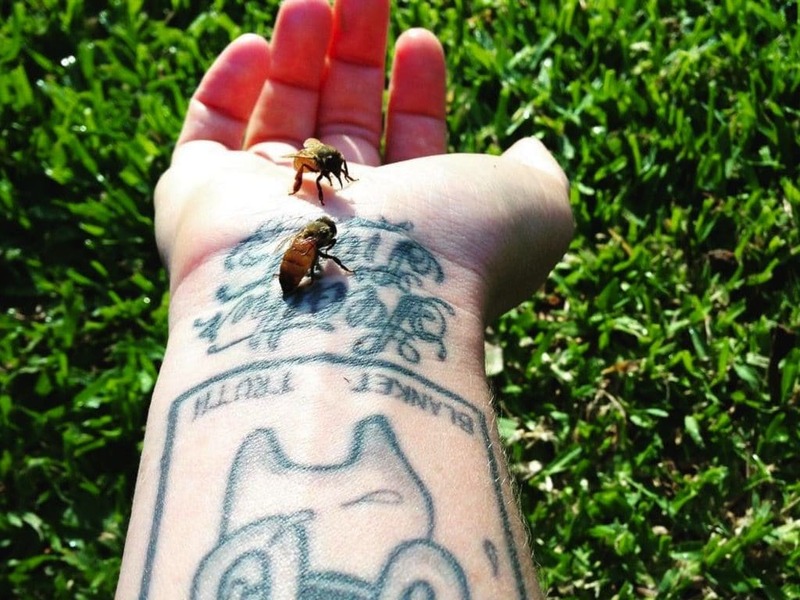 I have made a few friends on the natural beekeeping google group, and Instagram is a big one. 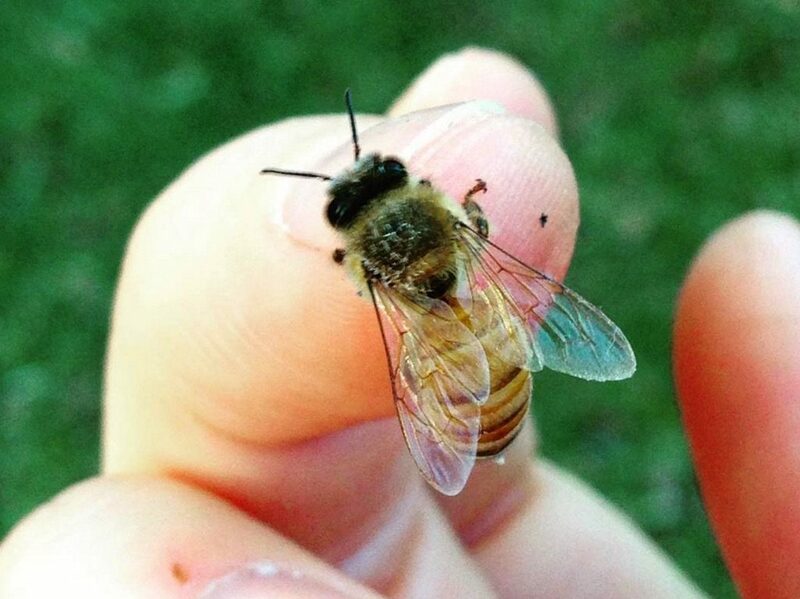 There are so many natural beekeepers who are happy to offer advice and help. Thanks Emily! 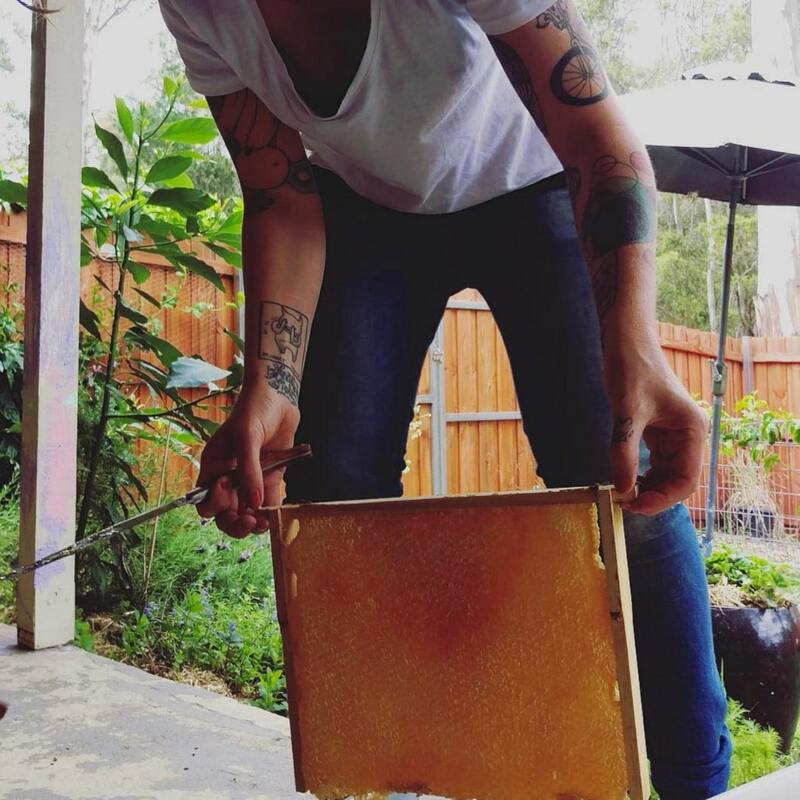 You can follow Emily’s beekeeping and backyard action journey at her Bearfoot Beekeeper instagram. 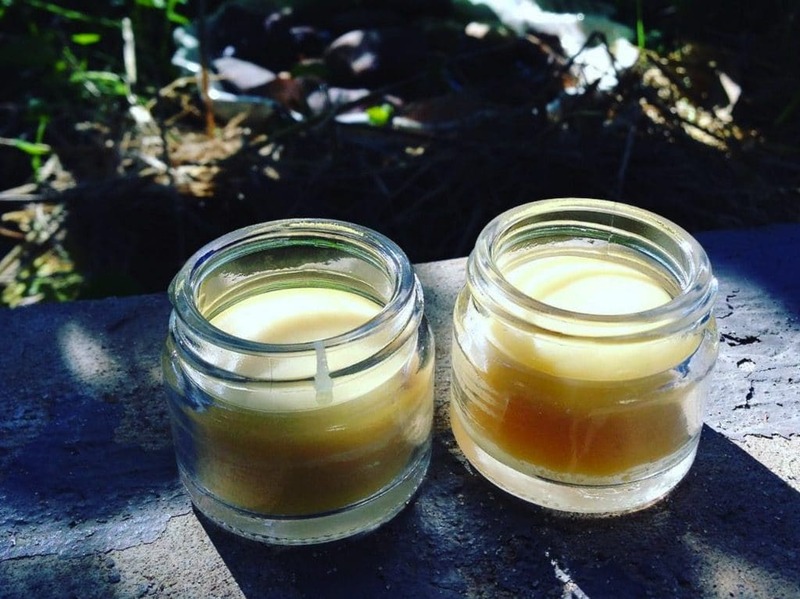 Beeswax is one of our favourite gifts from the hive - and perfect . .
Much excitement this week as the bees finally arrived at Milkwood . . It is with much excitement that we can finally share with you - t . . I think it was Juliette de Baracly-Levy that recommended bringing a small pebble from the beach for the bees as a salt lick . Place in water with half exposed .